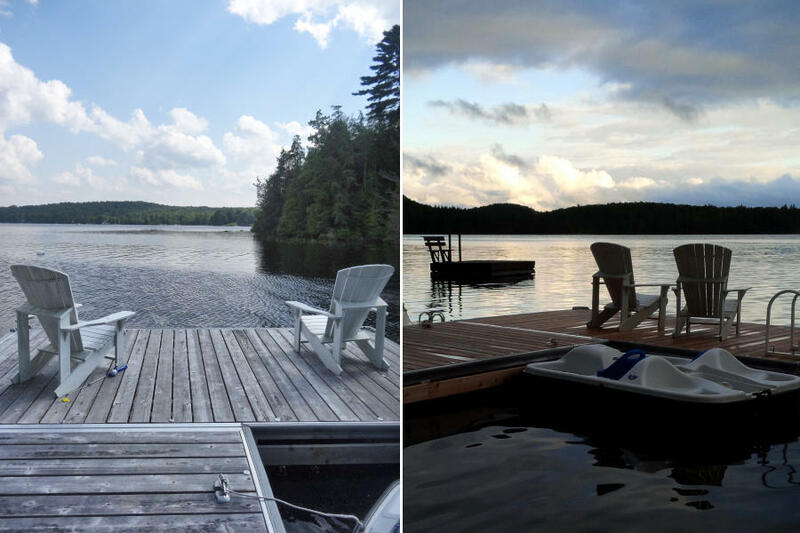 Cottage rentals have come to mean many things in recent years - from the traditional rustic models to the lakefront castles that are popping up all over. 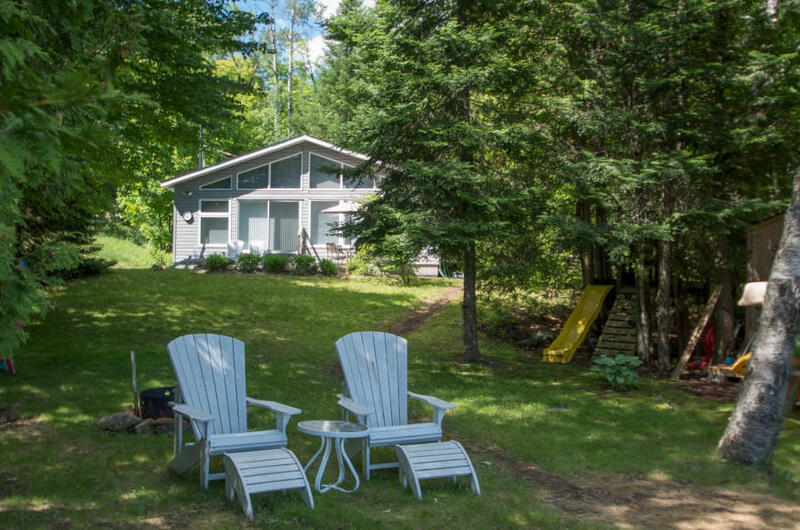 It's always refreshing in this environment to come across what is truly a family cottage getaway - secluded, picturesque, comfortable, clean and priced to appeal to a small family. 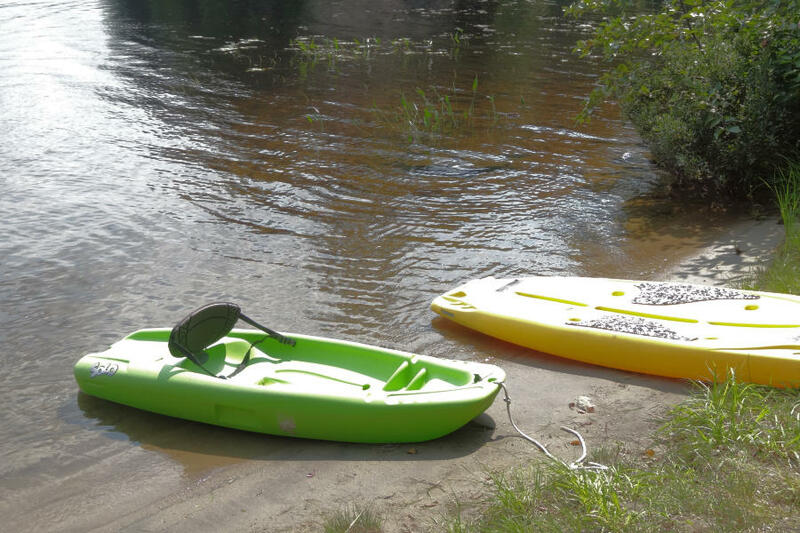 That's exactly what we thought when we came upon Bay Lake Cove. 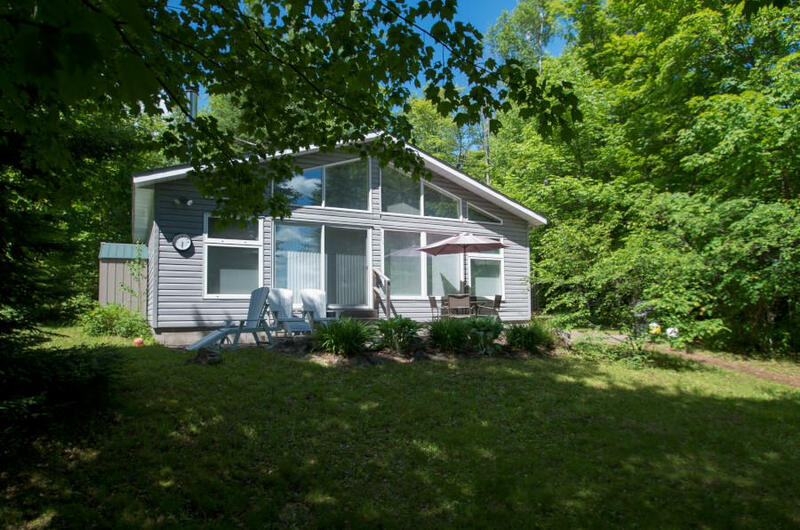 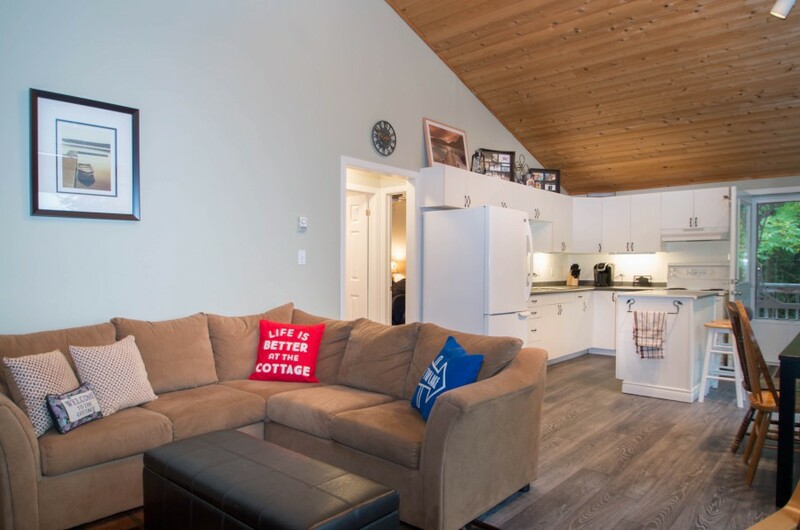 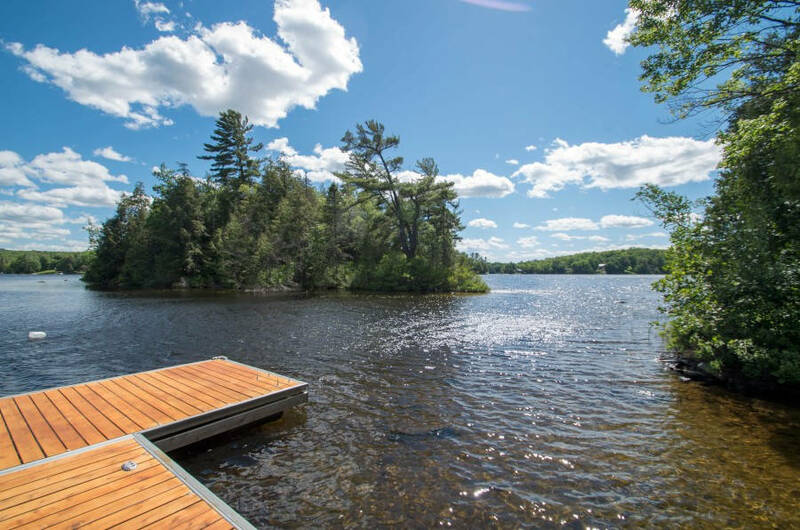 Bay Lake Cove is perfect for a family of up to 6 people looking for some family time in a relaxed cottage atmosphere with a wonderful waterfront and a classic Muskoka setting. 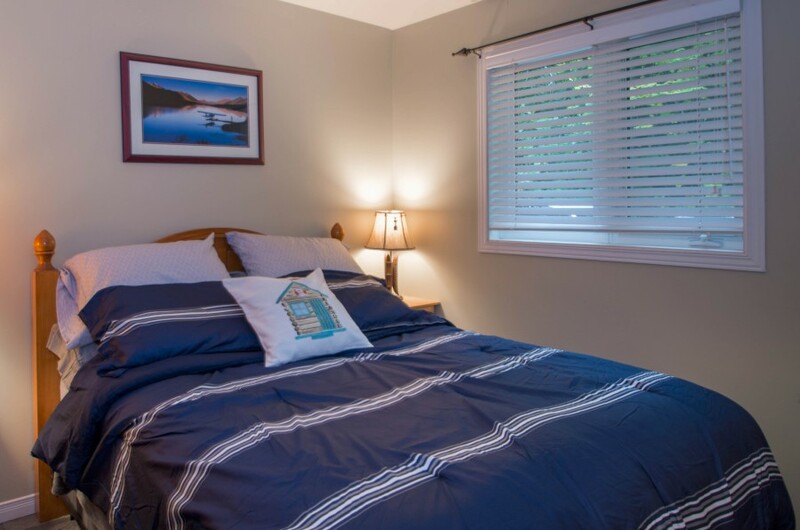 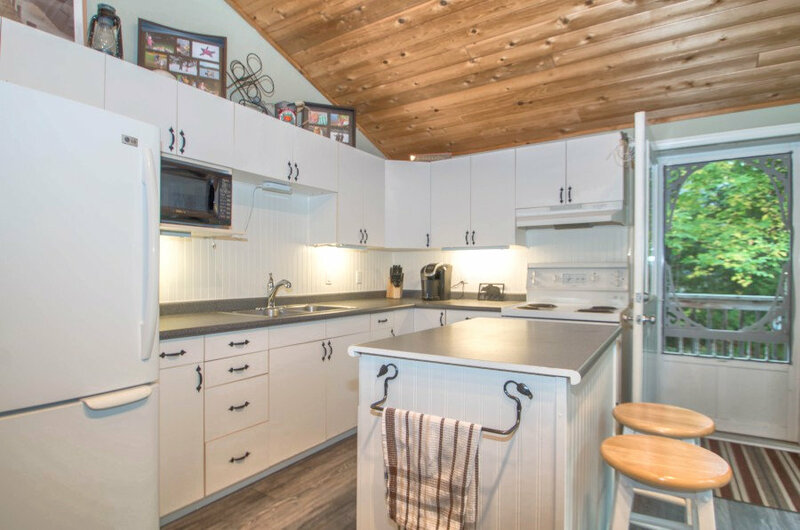 Inside the cottage, you'll find just what you might expect - 3 comfortable bedrooms and a bright and airy kitchen/living/dining area, with an enchanting view of the lake. 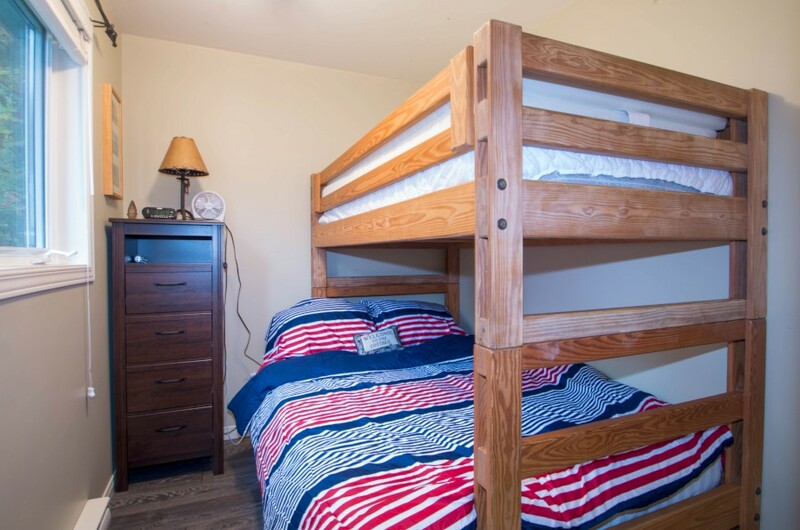 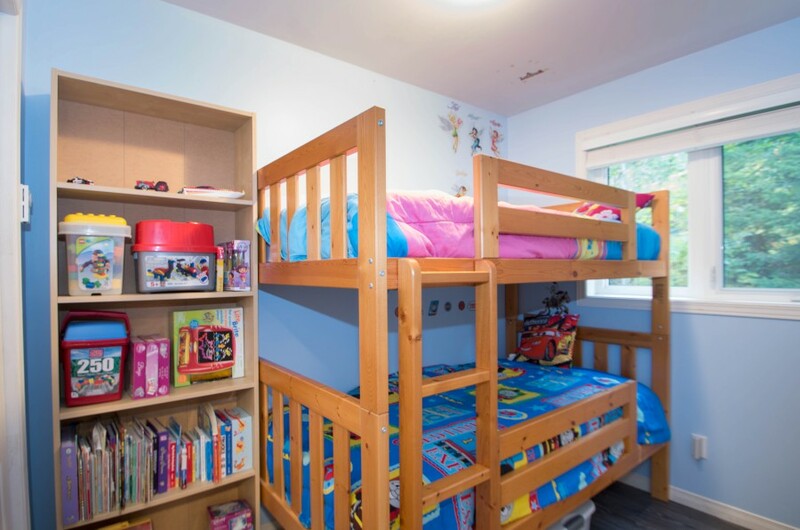 There is a queen in the master for the lead couple in the group, and flexible bunk beds in the remaining two bedrooms that will allow comfortable arrangements whatever your group. 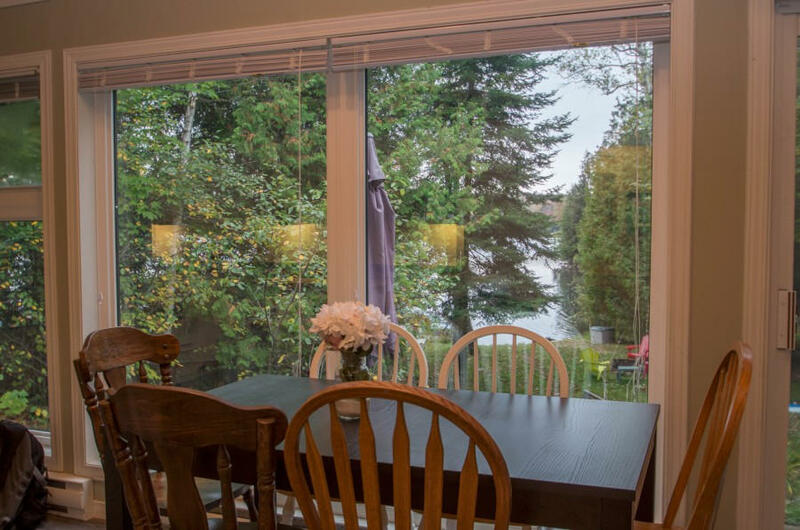 The waterfront is typically the reason you came, and you won't be disappointed. 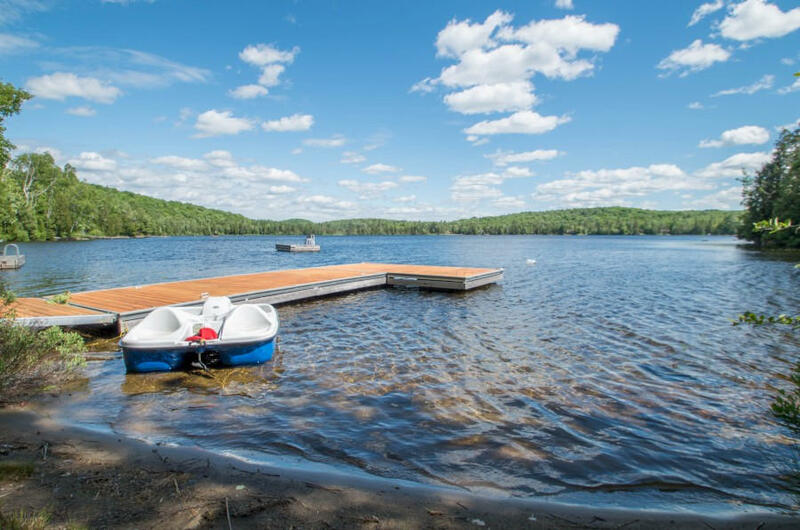 Kids will enjoy the shallow, sandy entry to the water while the parents can join the fun or just observe from the dock or waterside seating. 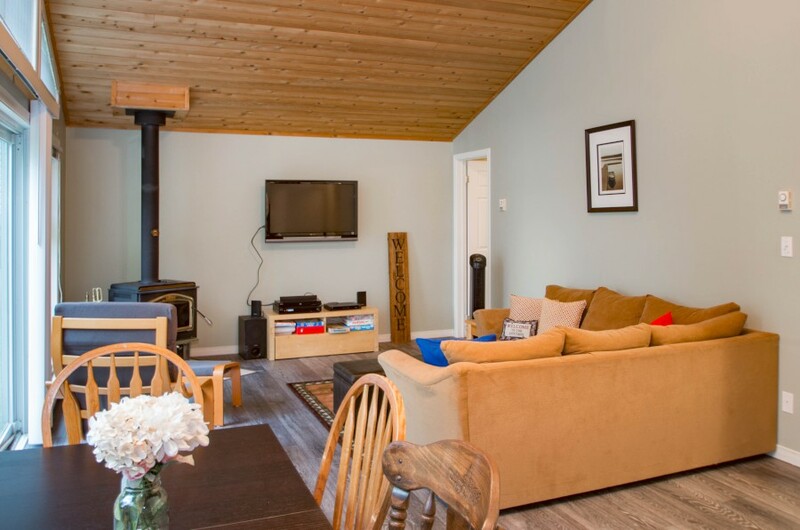 Evenings may well be spent spinning tall tales around the fire while consuming a few gooey roasted marshmallows. 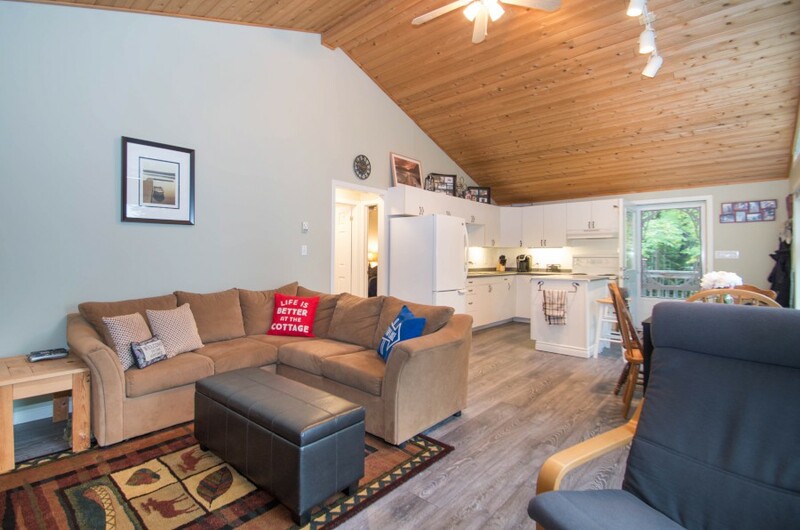 Follow that up with a nightcap of hot chocolate and a game of cards or a good book and you'll sleep like a baby, ready to start another day at Bay Lake Cove. 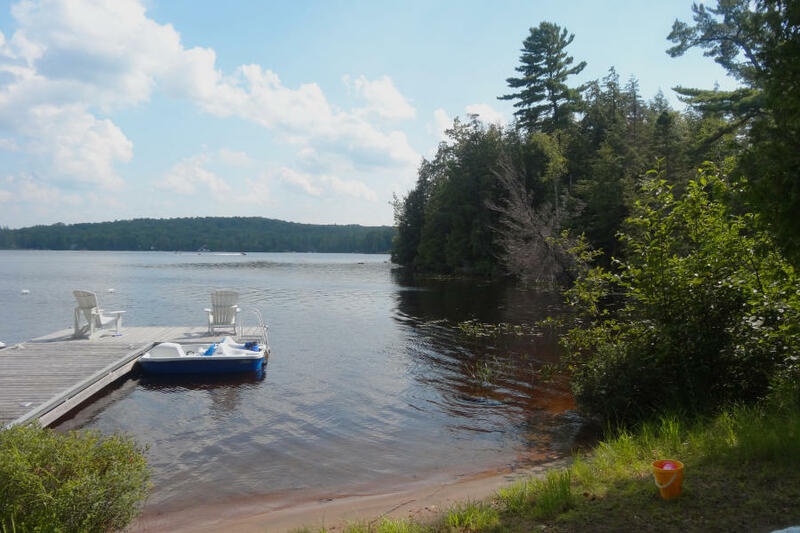 Bay Lake is just north of Huntsville, so you will find no shortage of things to do in the area. 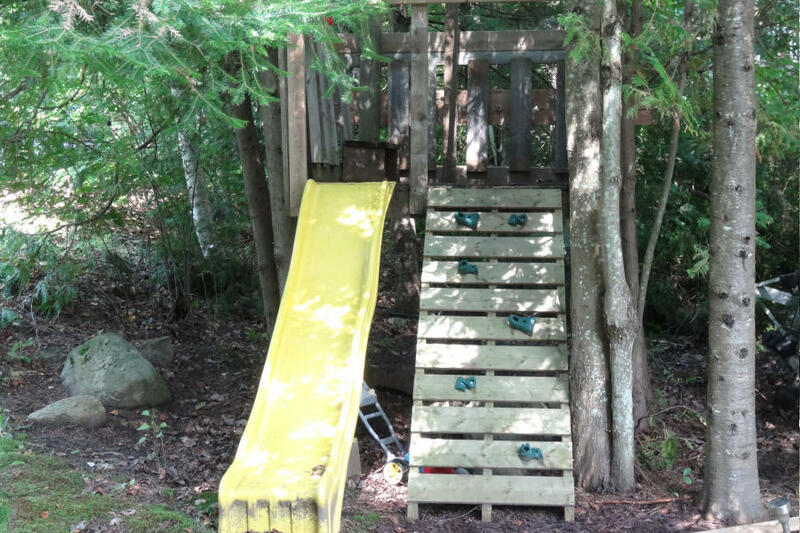 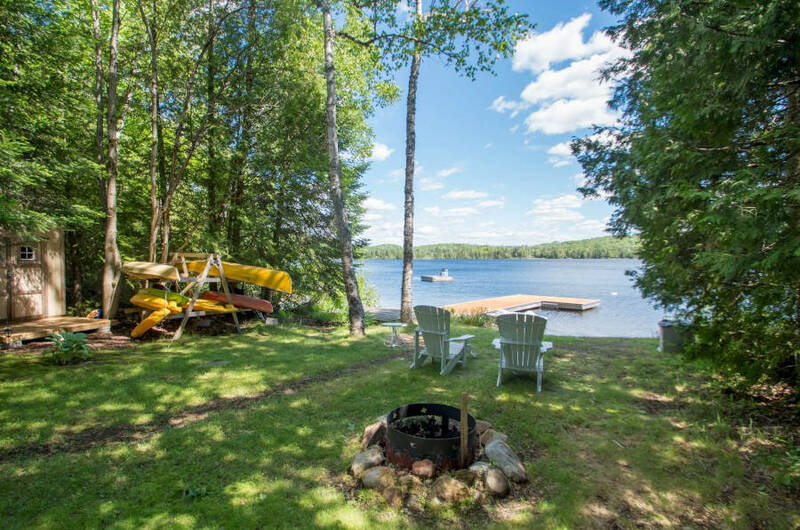 Arrowhead and Algonquin provincial parks are close at hand, and the town of Hunstville offers the amenities of a larger centre as well as the quaint shops and eateries you love to discover when on holiday. 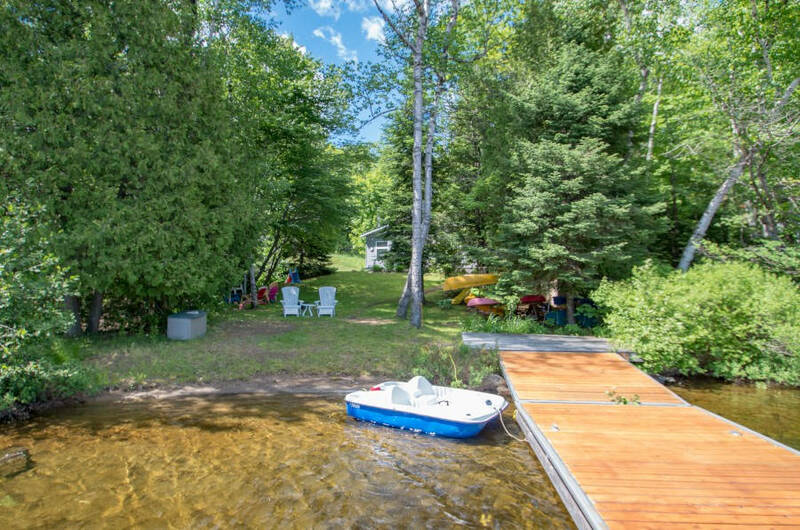 An grass lawn extends from the cottage to the waterfront, where you will find a dock a small beach and a sandy, shallow entry, good for children and non-swimmers.